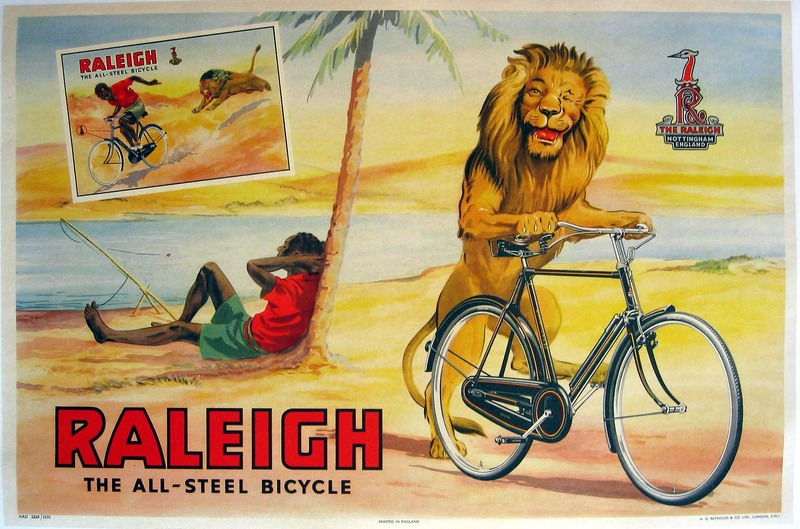 Bicycle, Raleigh, Lion vs Boy 1950 – 365posterblog. The message is often more important than the art behind it. The majority of travel posters are signed but also identifiable to a ‘season’, sizes tend to conform to a standard 30 by 20 or 40 by 25 inches with pure advertising posters coming in numerous sizes often too large to display in the home. Original posters by recognised artists for example John Hassall for Colemans are out there but there have been so many reprints over the years that it is almost impossible to identify an original. Advertising as a genre is still vibrant and there are great modern examples particularly for luxury brands. There is one for Ted Baker in my daughters room right now.